We can’t continue without adding the BBQ in the menu list of outdoor parties! 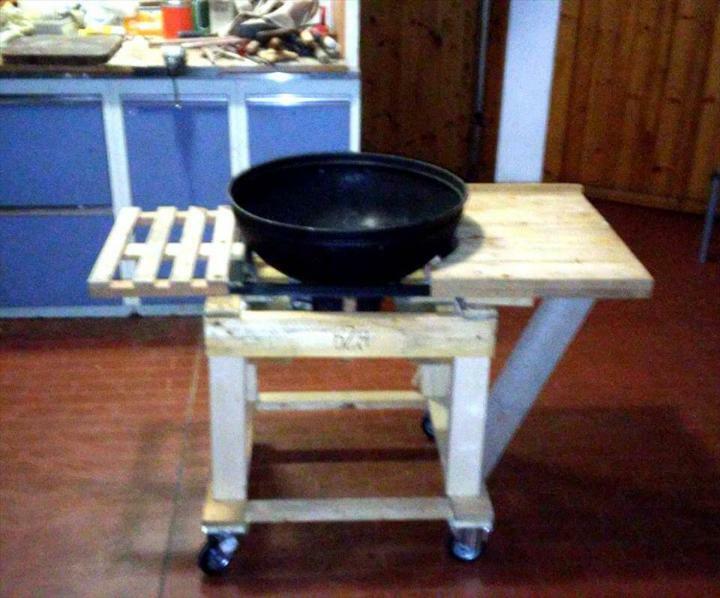 So to make your outdoor party space always ready for preparations of BBQ dishes, we are having here a better hand-built gift here given in shape of this DIY pallet BBQ grill table, here whole table frame with all the necessary holdings built-in, has been made at home using those torn down pallet boards! 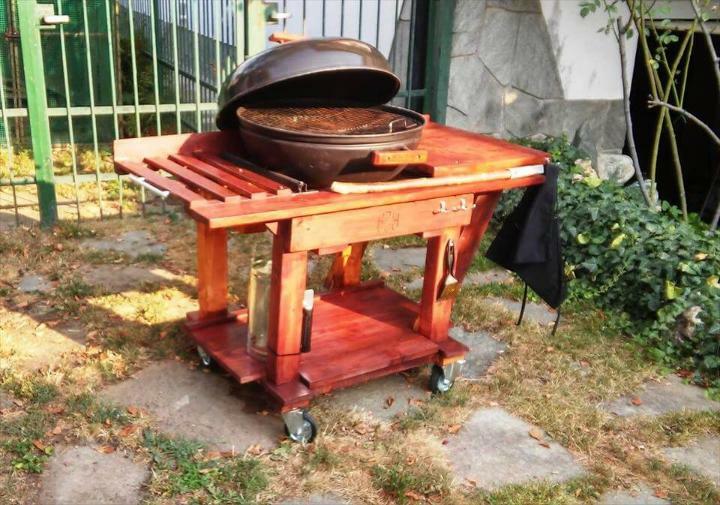 Here pallet grill table has been built so with pallet slats that it provides a lower shelf for careful storage of BBQ sticks and spices and it comes with a longer edged top that has been planned so that it holds tightly a BBQ grill! Lots of other things has been done to get it functional more like addition of metal hooks, integrating the towel racks and also involvement of caster wheels making it look totally industrial! Are you need better seating at no cost with pallets then we have 50 Ultimate Pallet Outdoor Furniture Ideas for your outdoor to enjoy with zero cost BBQ table. Finally the reddish tone of wood has been created by applying coats of stain selected in respective shades! Beautiful grill table is ready to spice up your outdoor party spaces, having a total price equal to price of grill and caster wheels! First thing is to take some dry measurements and dimensions! 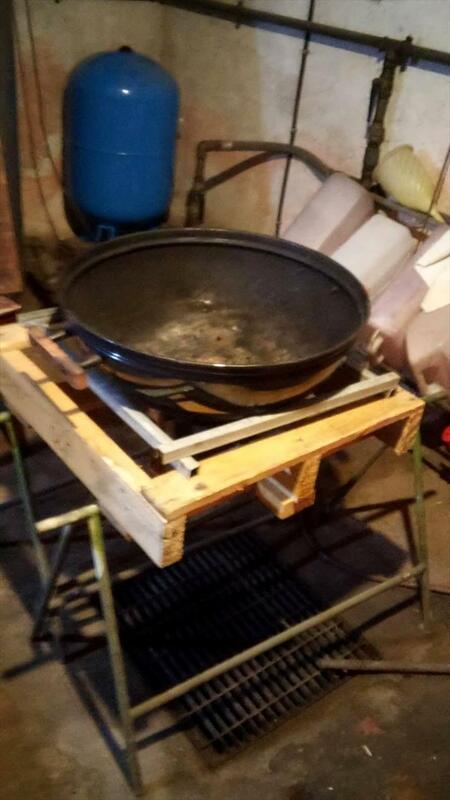 Flip over the grill and put it on a flat surface, now build the frame holding the grill bottom in its mid! 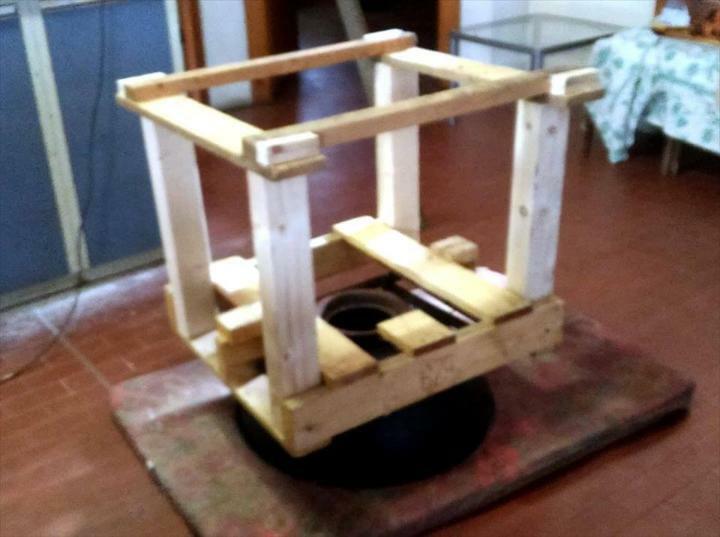 Use extra supports to build the frame stronger, pallet slats would be all amazing to integrate while building tiny or larger parts of this grill table frame! 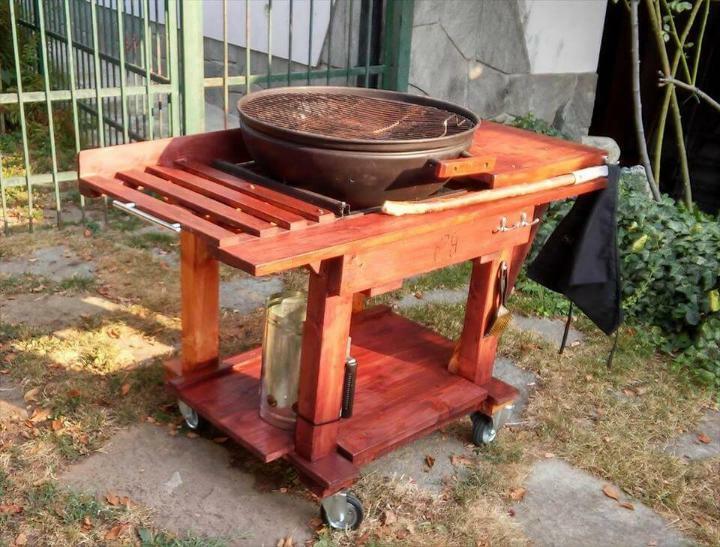 Add base to grill holding frame and also raise that base on wheels, now extend the sides of the table for a complete stylish look of grill table! Fill the extended tabletop sides solid using extra wood, you may also get the drop leaves here for this grill table which can be hinged in place! 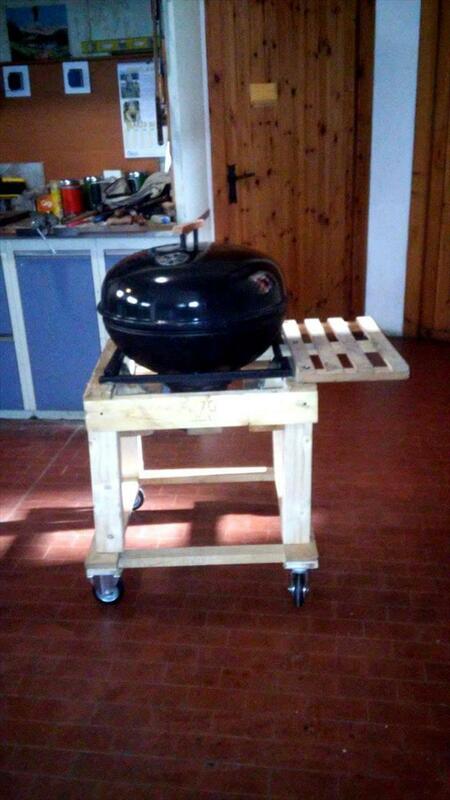 Review here how to fit the grill nicely by building an additional metal frame over the wooden holding! The grill should not shake while jolting the wooden table! Here finally the amazing red mahogany stain coats have been applied for an all glorious tone of the wood and overall look of the grill table! 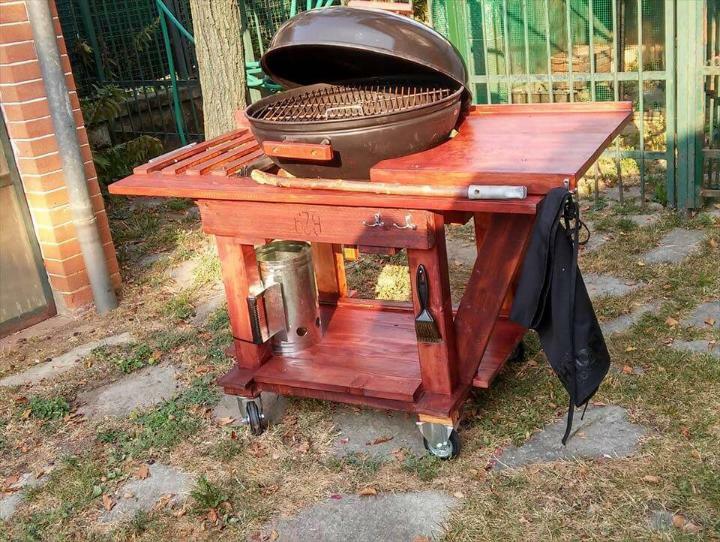 Some hooks, a side towel rack and a lower shelf has also been added later that make this grill table amazingly functional and user-oriented! 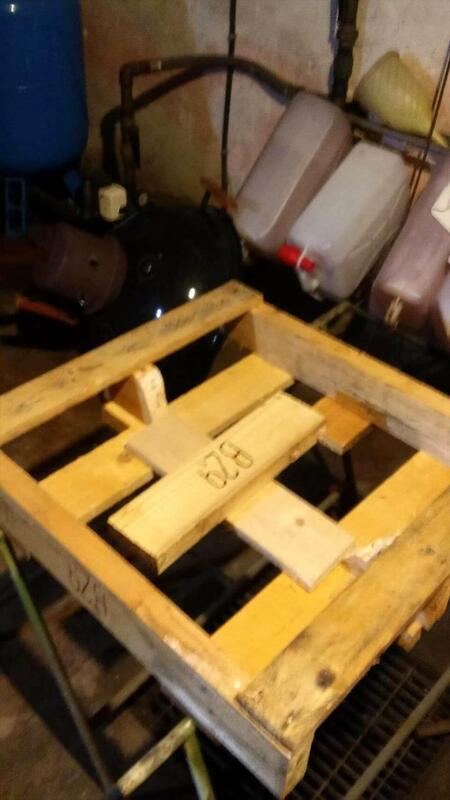 Previous Post: « Wood Pallet Outdoor Bench – Double Chair!